The popularity of hashtag holidays on social meeting continues to grow. Have you ever participated in any of these? Hashtags are a great tool to bring excitement and awareness to so many different things. Then how about a hashtag to share the fantastic work that you and other Sports Turf Managers do each and every day on natural grass fields around the world? Introducing #GFFF: #Grass Field Foto Friday. Starting with Friday tomorrow (today already on the other side of the world) through the month of September, use the hashtag #GFFF: Grass Field Foto Friday, and share your favorite grass field pictures. Post “fotos” that showcase the art and mastery of your work… making natural grass fields fantastic! 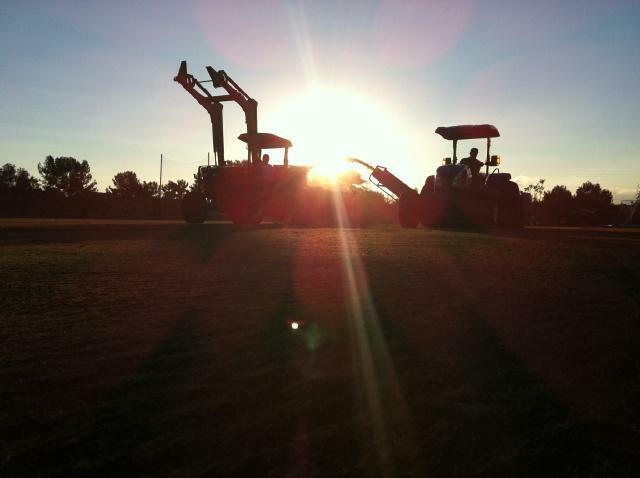 Game fields, practice fields, fields even in your back yard… show off your work!! Share on Facebook, Twitter, Instagram, and any other social media platform you might use. Share and be proud of your hard work and reinforce the professionalism of yourself and Sports Turf Managers around the world! The final Friday of September, September 26th, can be the climax of #GFFF as “International Grass Field Foto Friday”. Through the next 4 Fridays, together we can build up to that international day with promoting participation around the globe!! Why now? 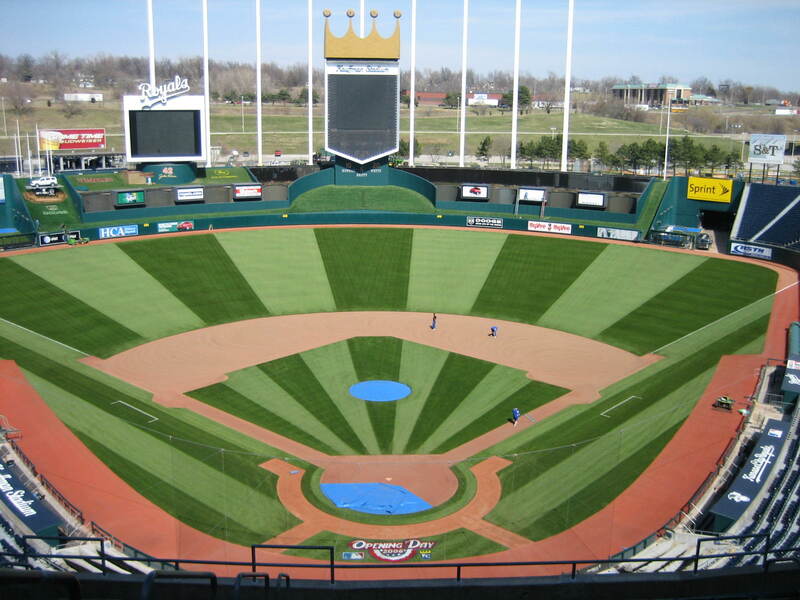 Late August & early September is the prime time for natural grass fields around the world. With the start of American football and proper football (soccer) around the rest of the world, Major League and Minor League baseball in the home stretch, and American and J-League soccer with a few months left… we are at a point that many outdoor sports are in season. Use that advantage to showcase your great work and build awareness for the possibilities of natural grass fields produced by you and all Sports Turf Managers!! #GFFF: Grass Field Foto Friday. Join in tomorrow!! Earth Day 2014 is here! 1st recognized in 1970, April 22 is the day the world unites to celebrate and support environmental protection. The Environmental Protection Agency has a unique fun program to engage kids and adults alike in their environmental commitment. Check it out! As we celebrate Earth Day in the grass field management industry, we have a lot to be proud of. 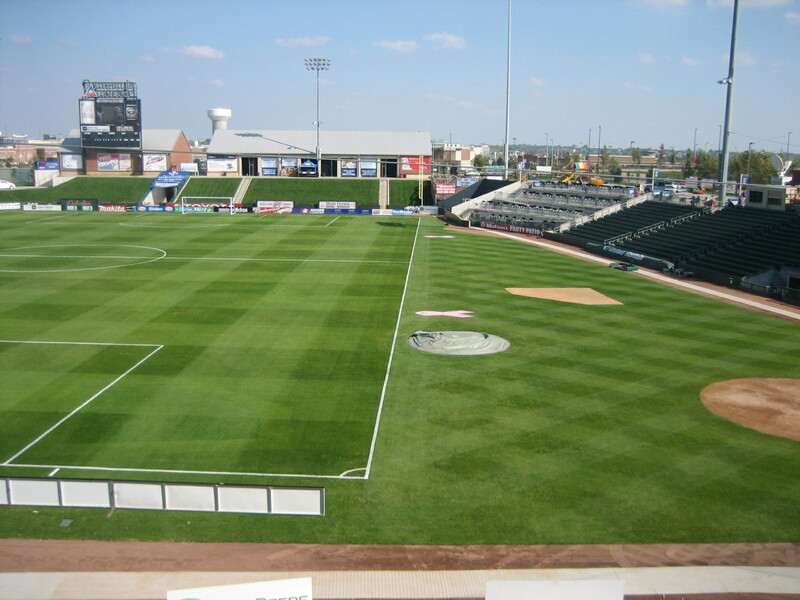 The positive impact of natural grass to the environment is extensive. – The front lawns of eight average houses have the cooling effect of about 70 tons (68 metric tons) of air conditioning, while the average home-size central air has only a 3 to 4 ton capacity (2.7 to 3.9 metric tons). – In a well maintained, thick 10,000 square foot (929 square meter) lawn there will be 6 turf plants per square inch (25.4 millimeters), 850 turf plants per square foot (30.45 square meters) for a total of 8.5 million turf plants. – A lawn, 50 by 50 feet releases enough oxygen for a family of four, while absorbing carbon dioxide, ozone, hydrogen fluoride, and peroxyacetyl nitrate. – A dense, healthy lawn prevents run-off, absorbing rainfall six times more effectively than a wheat field and four times better than a hay field. – Grass plants are 75 to 80% water, by weight. – Up to 90% of the weight of a grass plant is in its roots. – Grass clippings are approximately 90% water, by weight. – Clippings contain nutrients useable to the grass, when left on the lawn. – Turfgrass helps control pollution, trapping much of an estimated 12 million tons (10.9 million metric tons) of dust and dirt released annually into the US atmosphere. – As part of a well-designed and maintained landscape, turfgrass increases a home’s property value by 15 to 20 %. ENJOY EARTH DAY! And enjoy your natural grass! The renovation was organized by STS Services (Jock Eddington) of Phoenix, AZ and Campey Turf Care (Simon Gumbrill) of Manchester, UK. 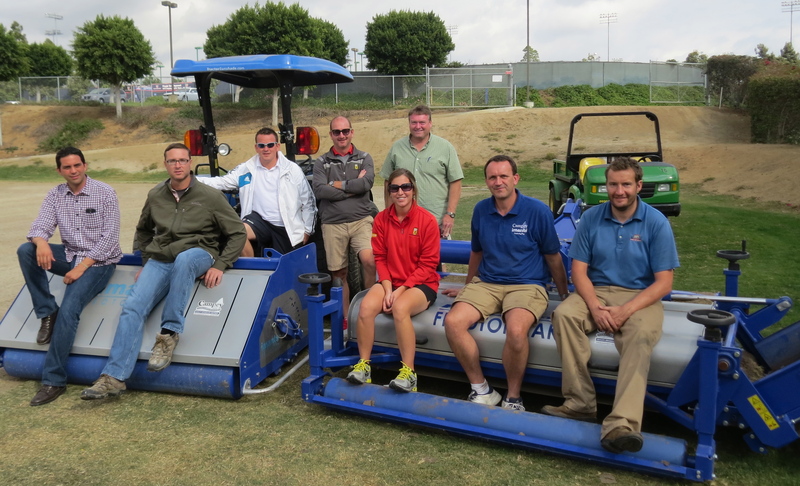 The rest of the renovation/ demonstration team was made up of Mr. Paul Burgess (Real Madrid), Jerad Minnick (Maryland SoccerPlex), Julie Adamski (Maryland SoccerPlex), Kevin White (Seattle University), Brian Wood (Commercial Turf & Tractor) and Mr. Jose Maria Aldrete (Chivas Guadalajara). The Stub Hub Center staff, lead by Mr. Shaun Ilten, played an absolutely vital role as well. Kudos to them for all the support and the open mind to proceed! The Chivas training pitch is a tight mix of bermudagrass and ryegrass. But as every grass field experiences, an organic layer was beginning to accumulate and poa annua was starting to populate. 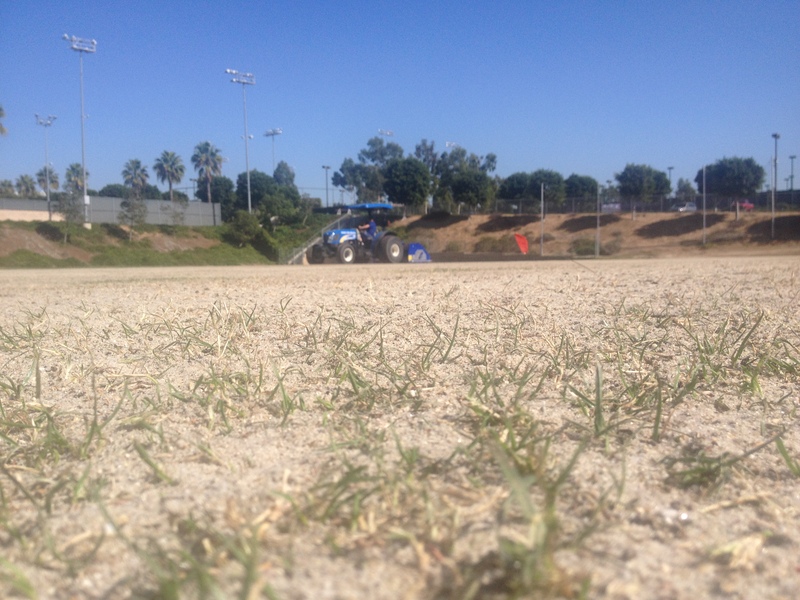 Mr. Ilten, Stub Hub Center’s Head Grounds Manager, recognized that fraze mowing and the KORO renovation process could be something that could not only help with keeping those challenges from increasing… but also create an even stronger and traffic tolerant surface for Stub Hub Center year round. To start the renovation, the field was fraze mowed. With frazing, the challenges of the field: thatch, organic build up, ryegrass, poa annua plants and poa seed: were removed off the surface while leaving the base of bermudagrass below. 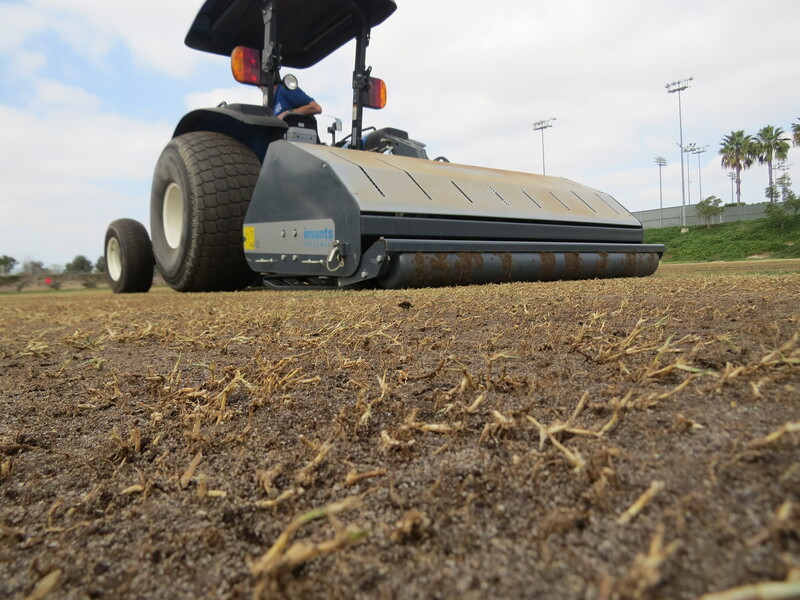 As fraze mowing multiple fields in 2013 has demonstrated (Fraze Mowing Results), the Universe® rotor on the Field Topmaker cleaned the material off the surface and left the bermudagrass rhizomes to re-generate. The bermudagrass rhizomes exposed to the sunlight began to re-generate and run across the ground immediately. That network creates a base of natural stability in the sub-soil. 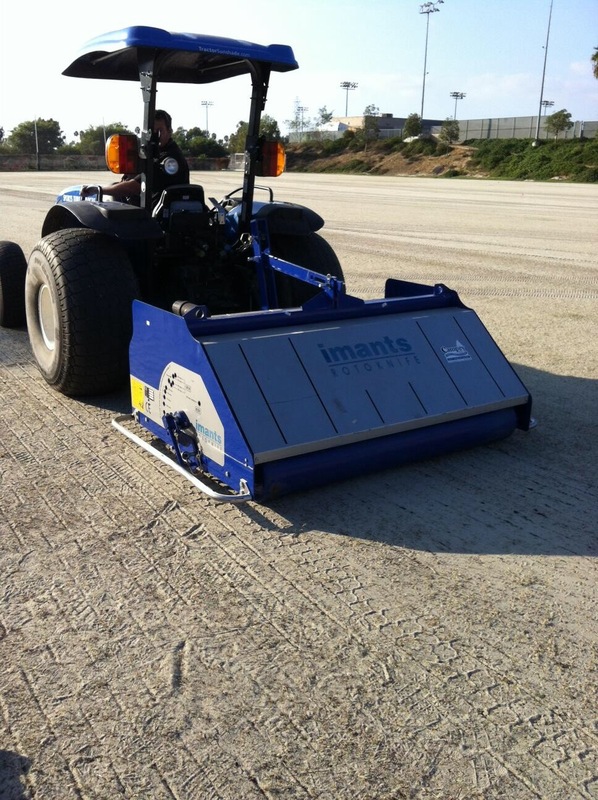 Following cleaning, the sub-surface profile was de-compacted using the Imants Shockwave w/ 8″ blades. Shockwave, a soil wave de-compaction machine, is ideal for a heavy soil sub-surface that needs softened. With the thatch, organic matter, poa annua, poa annua seed bank and ryegrass removed, followed with the sub-soil de-compacted… 1/2″ of sand was added to the surface. 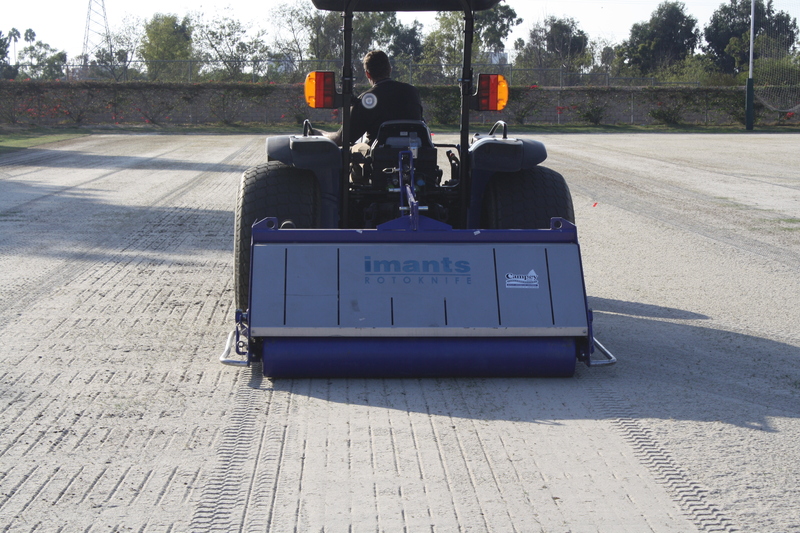 Using an Imants RotoKnife to slice up the top, sand was worked down into the soil profile to promote infiltration, reduce compaction potential, and to provide air space for stronger plants. Ryegrass was seeded into the bermudagrass base of the field following cleaning off, de-compaction, and sand incorporation. With bermudagrass rhizomes beginning to re-generate across and through the soil surface, they will prove natural stability for the ryegrass that is seeded down into the soil. The resilience of ryegrass will sustain heavy amounts of traffic without divoting or wearing away at the crown of the plant because of the bermudagrass reinforcement. With the beautiful Southern California sunshine beaming down on it, the ryegrass seed will now germinate and fill in quickly. The low sun angle and mild temperatures will inhibit complete bermudagrass regeneration, but that is ok since the bermuda is there for reinforcement and playability, not turfgrass cover. Within 4 weeks time, the training field will be available to be back on-line for the busy winter season at Stub Hub Center… and absolutely bullet proof by the time Chivas USA returns for the start of the MLS season in January. THANK YOU to all the participants of the field day and the demonstration of the renovation practices!! THANK YOU to Mr. Shaun Ilten and his staff and Stub Hub Center for the support and for the open mind to try the new renovation techniques. And THANK YOU to Assistant GM of Stub Hub Center, Mr. Kyle Waters, for his time and for hosting the group for the LA Galaxy v. Real Salt Lake Playoff match at Stub Hub Center Stadium. Stub Hub Center is one of the world’s finest… Mr. Ilten and Mr. Waters are absolutely majors reasons why!! More updates to come on the re-establishment. Keep the questions coming! Every month or so it seems Sports Turf Managers are being inundated with information regarding the viability and cost effectiveness of artificial turf. This information is often disseminated by those who have the most to gain from such information, the artificial turf manufacturers themselves. There is a growing group of Sports Turf Managers led by Jerad Minnick at the Maryland Soccer Plex who are proving time and again that “Grass Fields CAN Take More Traffic”. Jerad maintains a blog Growing Green Grass that chronicles the innovation going on in our industry. 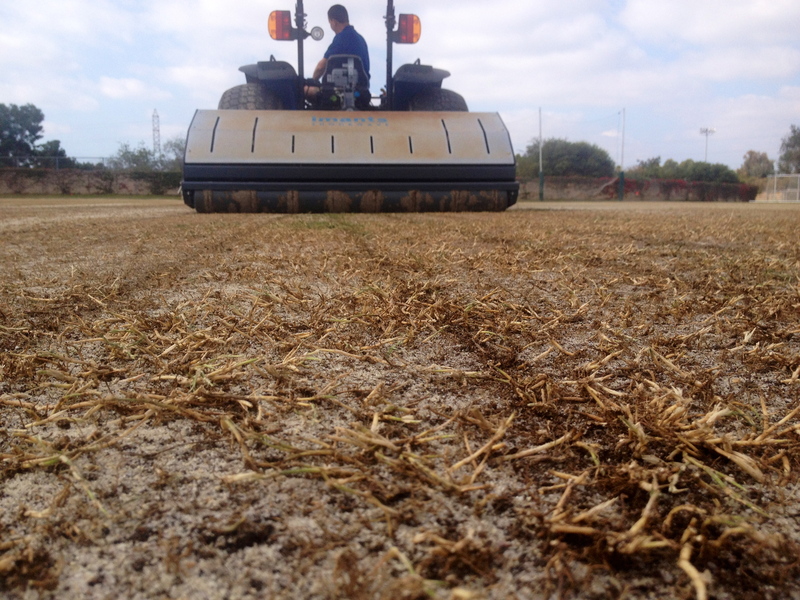 The latest and most intriguing of them is the concept of Fraze Mowing. Below are a handful of practices that if implemented will allow grass fields to take more traffic. 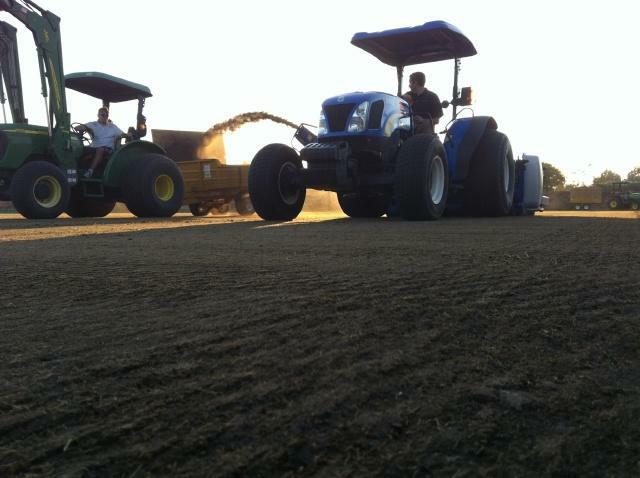 Aerification/ Cultivation. I’m already on the record as being a huge proponent of aerification (see the Harrell’s May 2013 Front Porch Blog) but there is a lot more to it than just core aerification. Slicing, spiking, solid tine or even fraze mowing, which I’ve never actually done, but the pictures I’ve seen speak for themselves, as often as possible will also help a field hold up to heavy traffic. 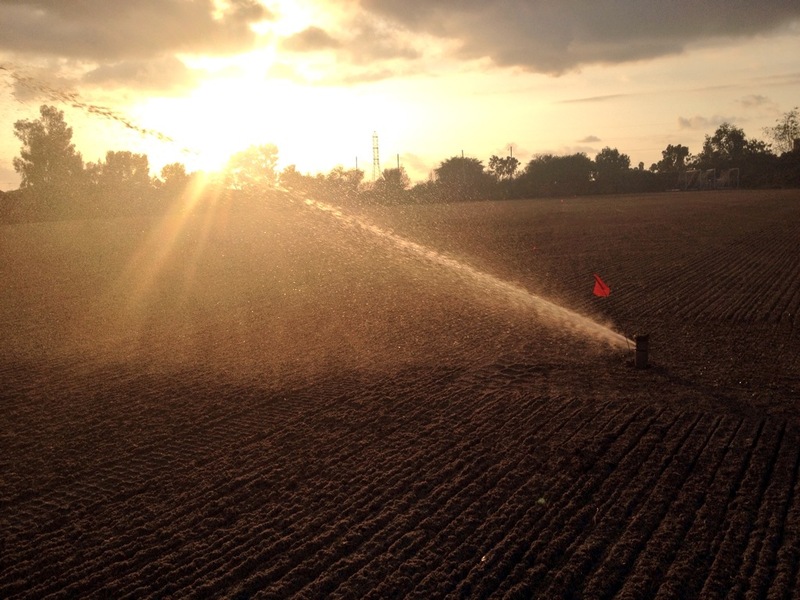 Nutrient Management including the use of controlled release fertilizers, like Polyon, and plant growth regulators. These tools when used properly will maximize the turf’s ability to take up nutrients and use those nutrients to synthesize the carbohydrates needed to withstand traffic. Field Rotation. Moving or resizing fields to spread wear will greatly increase a grass field’s ability to withstand heavy traffic. Manage the wear, don’t let me manage you. 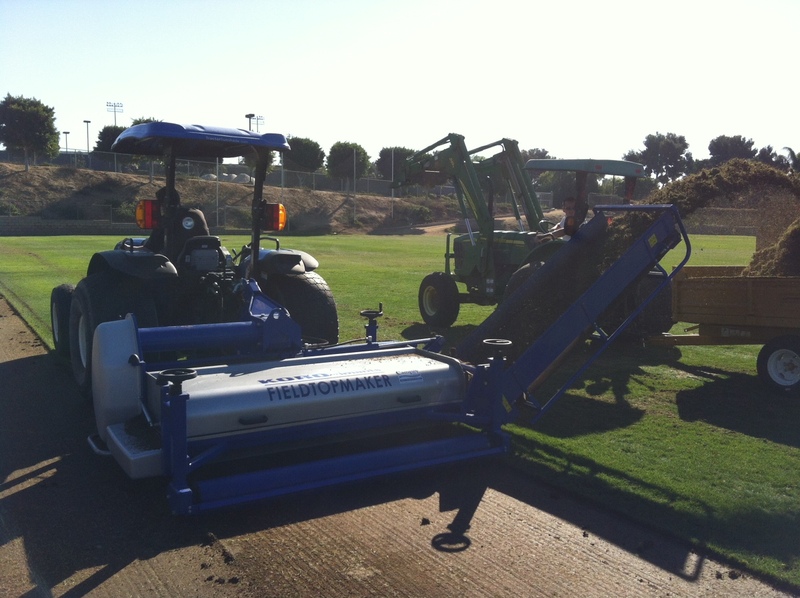 Sports Turf Managers are doing revolutionary things to insure that their grass fields CAN take more. Is it time for you to join the revolution? Details: Maryland SoccerPlex to test four varieties of bermudagrass on two re-constructed sand base fields. NorthBridge and Patriot on Field 14. Latitude 36 and Riviera on Field 17. Read more of the announcement: Innovation Announcement: Bermudagrass Performance Test.